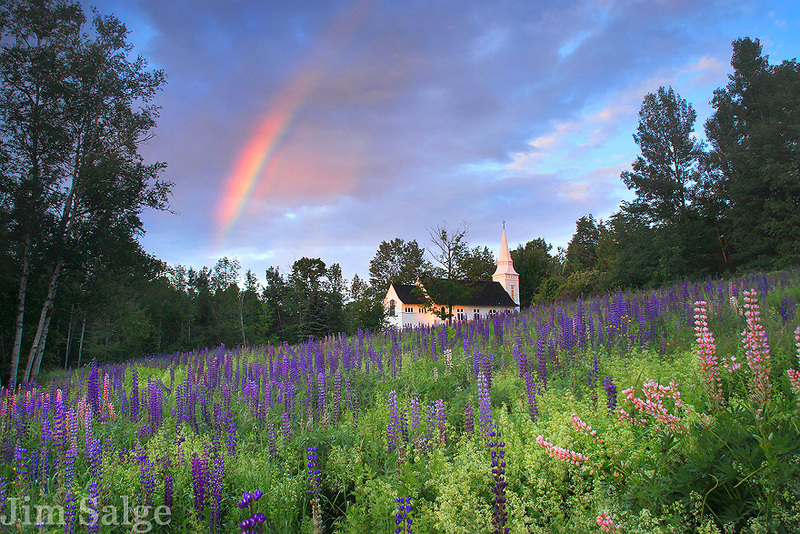 I've shot this field in Sugar Hill, NH during the Lupine Festival many times, but there's always ways to improve the shot. I was in an adjacent field for sunrise when the rainbow materialized behind me, and I knew I had to rush and hope it was over the church. Pure magic light!